When it’s cold outside, it feels wonderful to wrap yourself up in a warm sweater. The wooly hug that protects you from the cold helps you get through the days of limited sunlight and long nights. Shouldn’t you give your plants the same care? Cacti are warm weather plants who do not appreciate cold winter temperatures or the lack of light. While they may not fuss too much, wouldn’t they be much happier with a sweater? 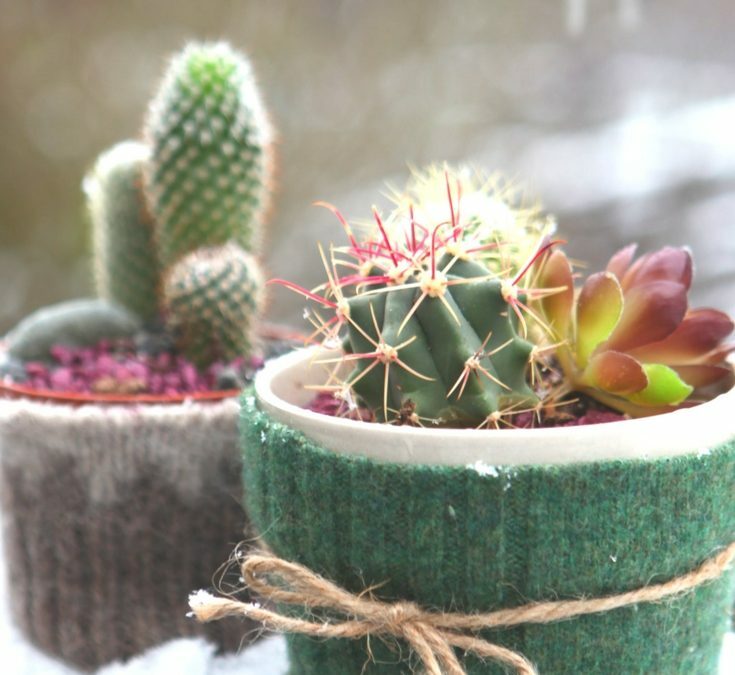 This DIY project is a great way to dress up your plants for winter and the cooler months of spring.